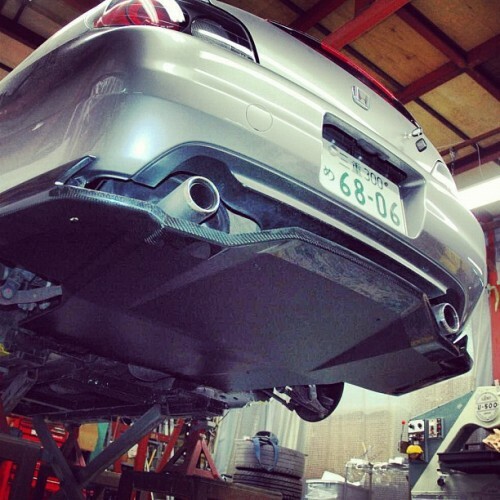 The Voltex rear diffuser is hand crafted in carbon fiber. The carbon is sectionally painted matte black on the underside for a finishing touch. As with all Voltex parts, the quality is second to none. Extremely lightweight, this diffuser adds both style and function to the S2000. The diffuser extends past the front of the rear axle to maximize aero efficiency. It is compatible with both dual and single muffler exhaust systems. Includes all hardware required for installation. Please specify between AP1 or AP2 chassis.